Squeezing in a meal during the festival season can sometimes feel nigh on impossible; who has the time when there's world-class art happening in every corner of this city? So why not feed two birds with one scone and check out a show with a meal attached, or a food-themed performance that'll inspire the epicurean within? We've rounded up a few food and drink goodies that'll surely whet the appetite this August. With food production placing increasing pressure on our planet's natural resources, space technology researcher Matjaz Vidmar explores which of the processes involved in lab-made food – the type astronauts eat in space – might be carried over into the mainstream. Dehydrated ice creams, anyone? Is Astronaut Food the Future?, The Stand's New Town Theatre, 20 Aug, 8.10pm, £10 (£8). After several lauded runs at the Adelaide Fringe, Michelle Pearson has come from Down Under to serve up hearty and heart-warming plates of homemade cooking to a Scottish audience. She'll be dishing out the apricot chicken alongside powerful renditions of Bublé, Guns 'n' Roses and anecdotes from her personal life. Comfort Food Cabaret, C at New Town Cookery School, 15–26 Aug (not 19–21), 7pm (also 9.30pm 17 &18, 24–26), £14.50–£16.50 (£12.50–£14.50). Mamoru Iriguchi's colourful children's show returns for a victory lap after its celebrated Fringe run last year. 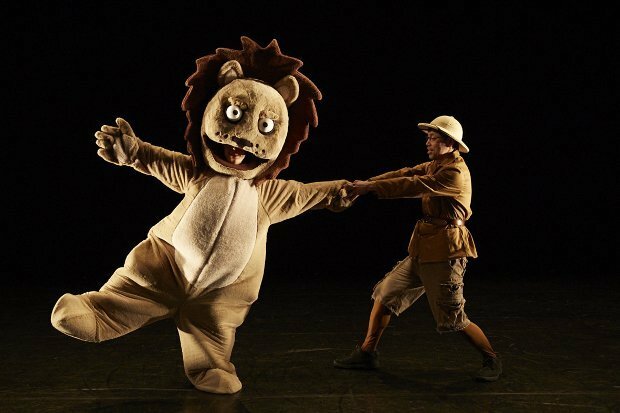 When Mamoru the human is eaten – but as of yet undigested – by Lionel the lion, they decide to take the opportunity to teach young'uns about their digestive tracts and food chains, which begs the question: what should we eat? And what should eat us? Eaten, Scottish Storytelling Centre, 3–19 Aug (not 8, 15), 12.30pm, £9 (£7). Preview 2 Aug, £6. Experience the hallmarks of the Scottish calendar – Hogmanay, Burns Night and St Andrew's Day – distilled into one three-course meal, interwoven with whisky, folk songs, traditional storytelling and much laughter. A Year of Scotland in a Meal, Scotch Malt Whisky Society, Queen Street, 3–25 Aug (not 5 & 6, 8, 12 & 13, 19 & 20, 22), 1pm & 8pm, £35 (£32). A literary Julie and Julia, Kate Young will recreate any dish she reads in a book, whether it's treacle tart from Harry Potter, or the Godfather's spaghetti and meatballs, and then write about it on her recipe blog. Sit down for a classic afternoon tea and learn a few tricks from the voracious reader and cook. Afternoon Tea with Kate Young, Charlotte Square Gardens, 20 Aug, 3pm, £25. From the crunch of buttered toast to waging a cake war against his wicked stepmother, food writer Nigel Slater's acclaimed memoir is brought to the stage, as told through the evocative tastes and smells of his childhood in 1960s England. Nigel Slater's Toast, Traverse Theatre, 8–26 Aug (not 13, 20), times vary, £21.50 (£15–£16.50). Preview 7 Aug, 10am, £15 (£9). Sit down to an elegant three-course meal served by the bumbling staff of the much-loved classic sitcom, with all the mayhem and chaos you'd expect. Every evening is improvised so there's no telling what hijinks will ensue, but the food and the company is guaranteed to be good. Faulty Towers: The Dining Experience, The Principal, 2–27 Aug, times vary, £49.50–£55.